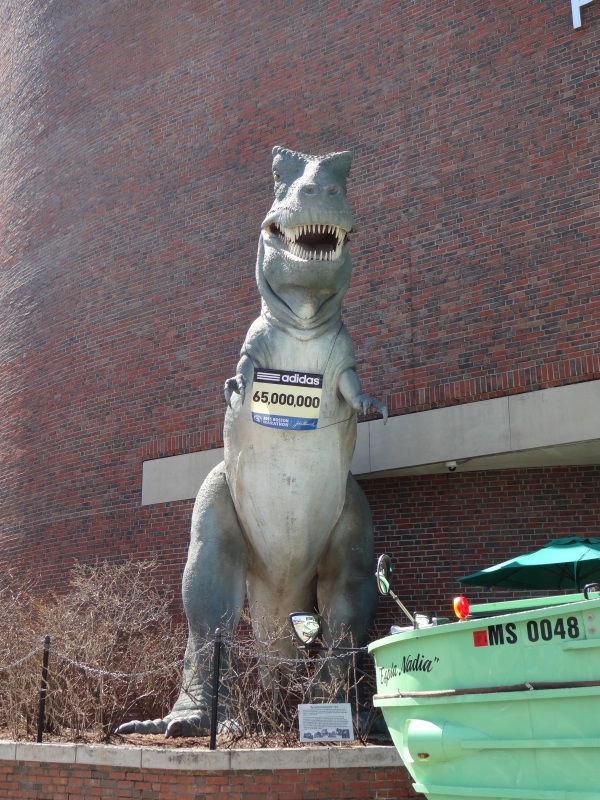 I spent a lot of last week in Boston (my wife was running the marathon). Assuming I can find some time, I’ll post some a few thoughts on the trip later this week. The coloured lights on top of the old Hancock building tell the weather: “Solid blue, clear view,” “Flashing blue, clouds due,” “Solid red, rain ahead,” and “Flashing red, snow instead” (during the summer, flashing red means the Red Sox game is rained out). The Boston Common is the oldest public park in the US and has been around since 1634. Boston was home to the first subway tunnel in the US – Tremont Subway. It opened in 1897. On March 10th, 1876, Alexander Graham Bell made the very first phone call in history from his Boston machine shop. The first state-issued car license plates were issued in Boston, because nosy neighbour Frederick Tudor wanted to know who was driving past his house. He got license plate number 1 (and a relative still owns the registration for that plate).